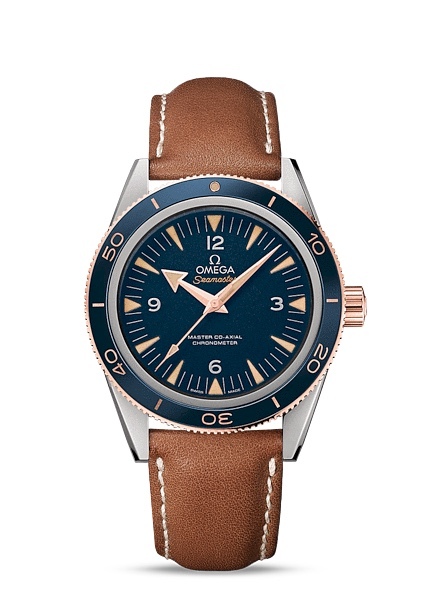 Splendid; I might take the 21/22 off my Planet Ocean XL 8500 and give it a try on the 300MC. And by 'I' I mean I'll run it into the Omega Boutique for the swap out. rmccullough21 and Lealole like this. Anyone seen pricing for the new models on straps yet? I can't find them anywhere on the web. thestrapguy and julywest like this. True, but I'm guessing the strap version will easily get you a grand less than the bracelet variant if you later choose to flip it. At least that's what it's like for the Speedmaster Pro. Last edited by dawiz; July 28th, 2015 at 08:48. Thanks very much, definitely want to order one for mine. Can they be ordered online at all? I'm working in Saudi Arabia at the mome moment. Thanks for that, it's only the 20mm version they have advertised. I just emailed them to see if they will be getting the 21 - 22mm.